Senator Mike Enzi talked to EMS students about a career program being used in FACS class during the Innovation Showcase at EHS. Senator Mike Enzi and his Wife stopped by the EMS table and visited with the students about the Reading Rumble during the innovation showcase at EHS. All of the World Language Day Winners. Also, it is Hat day. 3rd Place level 2 Small Group at World Language Day at the University of Wyoming. We just held our 5th annual Reading Rumble here at EMS. We had record numbers of students who participated (134) and they all had a great time. 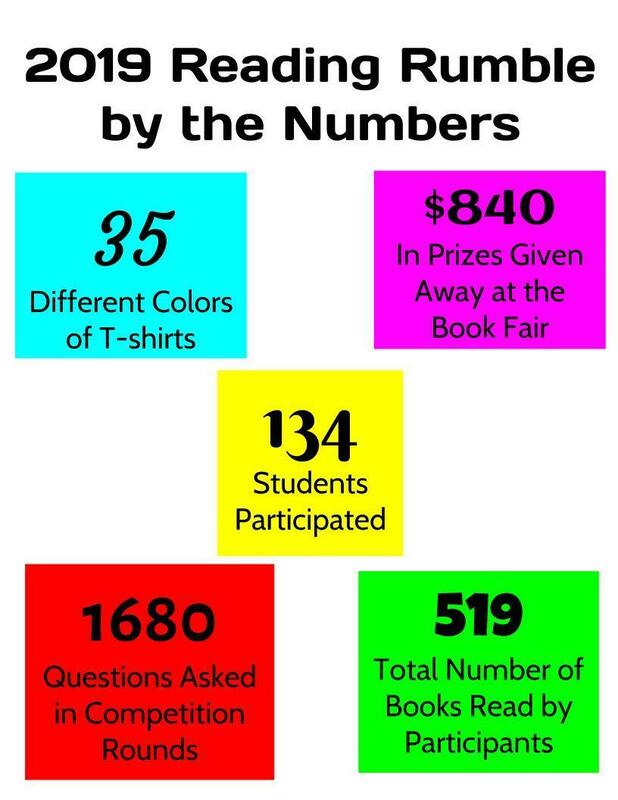 The students got into teams and were assigned 12 books to read over the course of a few weeks. During the actual reading rumble the teams were asked questions about the books they read and competed with the other teams to see who could get the most questions right. The usual time allotted for this competition is 4 periods in the day but due to the record number of students who participated, the competition lasted all day. We are so proud of all the participants because they all read a lot of books and we are sure they learned a lot as well. Thank you to all of the teachers and staff who helped to make this possible. It couldn’t be done without you.